YouTube TV Archives · Stop the Cap! 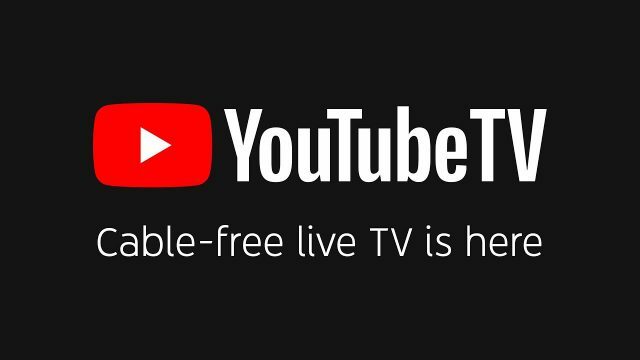 YouTube TV, which offers cable-free live television, today announced it now offers local network affiliates covering over 98% of the U.S., allowing consumers in smaller cities to cut the cord and still keep good reception from most local, over-the-air stations. Additional small markets will be added later. YouTube TV offers over 60 networks, on-demand programming, cloud DVR service with no storage limit and unlimited simultaneous recordings, up to six personal accounts (three simultaneous stream limit), for $40 a month. 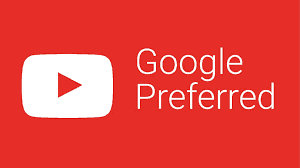 YouTube TV customers attracted by unlimited storage DVR service are now discovering their recorded shows have been temporarily replaced with an on-demand version loaded with unskippable advertising. In late April, YouTube TV dramatically increased the number of shows that cannot be viewed using DVR service. Instead, viewers are pointed to the on-demand version instead, even when a customer records the show using YouTube’s unlimited storage DVR service. Some customers who pay $40 a month for YouTube TV don’t appreciate what they consider a “bait and switch” DVR that raids their library of recorded shows and puts them off-limits in favor of an alternative version littered with ads one cannot skip. Customers may not have noticed the gradual increase in the number of ads-included, on-demand shows until recently when YouTube TV started restricting the option of watching an ad-skippable DVR recording instead. Now it is the on-demand (VoD) version or nothing in many cases, at least for the first month or so after a show airs. How YouTube TV is marketed. Each network seems to handle advertising differently. CBS is notorious for loading as many as 20 ads per hour, while some shows on ABC don’t include any ads at all. Some ads are 15 seconds long, others — especially pushing prescription drugs, can run much longer. But in reality, because of YouTube’s own desire to increase advertising revenue and thanks to agreements with certain programmers, DVR service is becoming more restricted on current shows, and a growing number of older titles airing on cable networks are likely to see mandatory ads creep in as well as YouTube starts selling ad time itself. “Many networks provide recent episodes of shows, movies, and more on demand. If you’ve recorded a program that’s available on demand at the time you’re watching, in some cases the on demand version will be played back instead of your recording. You typically cannot fast-forward through video on demand ads,” the company explained. This week, YouTube unveiled a brand new effort to integrate the Google video ads platform into the YouTube TV experience, opening up plenty of new advertising opportunities for companies that want to target YouTube TV customers and be assured viewers cannot fast forward past their ads. Now Google’s advertisers can target video ads at YouTube TV customers. That is likely to mean an exponential increase in GEICO ads. None of this should be a surprise, if subscribers reviewed the terms and conditions of service when they signed up. In March, 2017, we warned would-be customers the service would insert forced advertising into the DVR experience. YouTube TV isn’t likely to be the only streaming service that will start pushing mandatory advertising into DVR recordings. TV executives want to establish a precedent for forced advertising on the cord-cutting streaming marketplace. “While it isn’t possible to put the DVR genie back in the bottle for traditional cable customers, TV networks are hopeful they can train viewers to expect ads at least in on-demand, current-season shows they stream,” reported the Wall Street Journal in 2017. YouTube TV is adding seven new basic cable networks owned by Time Warner/Turner Broadcasting to its lineup along with NBA TV and the MLB Network. The new TW/Turner Network channels — TNT, TBS, CNN, truTV, Cartoon Network, Adult Swim and Turner Classic Movies, along with more sports programming, will also mean a $5 a month rate hike for the streaming service, effective March 13. Existing YouTube TV customers and those signing up before the rate increase takes effect will be spared the price increase, paying $35 a month for the service instead of the $40 rate charged new customers next month. YouTube TV has focused much of its attention in the last year on getting local broadcast stations on its lineup, and now has a complete assortment of NBC, CBS, ABC, and FOX affiliates in dozens of TV markets. One of the reasons cord-cutters are reluctant to cancel their cable subscription is the loss of local stations, but YouTube TV has managed to overcome that roadblock for many subscribers. The service has spent much of its annual budget on sports channels, which are usually the most costly basic cable networks. The addition of Time Warner, Inc./Turner Broadcasting cable networks came as a result of subscriber demand. Time Warner, fighting the Department of Justice over its proposed acquisition by AT&T, will likely use the new agreement as additional evidence the company is not withholding popular cable programming from AT&T’s competitors. YouTube TV offers a 7-day free trial, after which subscribers are charged $35 a month. If interested in the service, now is the time to subscribe before it costs $60 more a year. YouTube TV, an online streaming alternative to cable television, now reaches 50% of U.S. residents after the company introduced local TV service in 14 new markets. The latest additions allow customers to view most local ABC, CBS, FOX, and NBC stations as part of their subscription. But YouTube TV has not yet signed agreements with all of those station owners, so some cities will continue to have only on-demand access to FOX network shows for the time being. The service costs $35 a month and includes a feature-limited DVR, which in certain cases does not allow customers to fast-forward past commercials. The service also recently added two new channels to its lineup: Tennis Channel, and for Boston-area residents only: NESN, a regional sports network.